In honor of the month which is home to the Independence Day holiday, Heritage House takes the side of “the opposition” to present The Way Ahead on Thursday, July 20. There will be two screenings, at 2 and 7 p.m. Admission is free and light refreshments will be served. 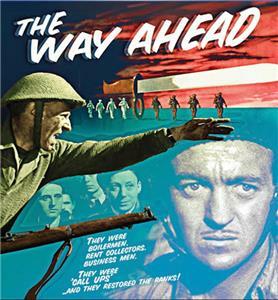 The inspiring story of our British allies at the start of World War II, star David Niven leads a company of seemingly hopeless everyday men drawn from all walks of English life. His challenge is to bond them into a cohesive unit during basic training before they are shipped off to North Africa for their first encounter with the vaunted Axis.